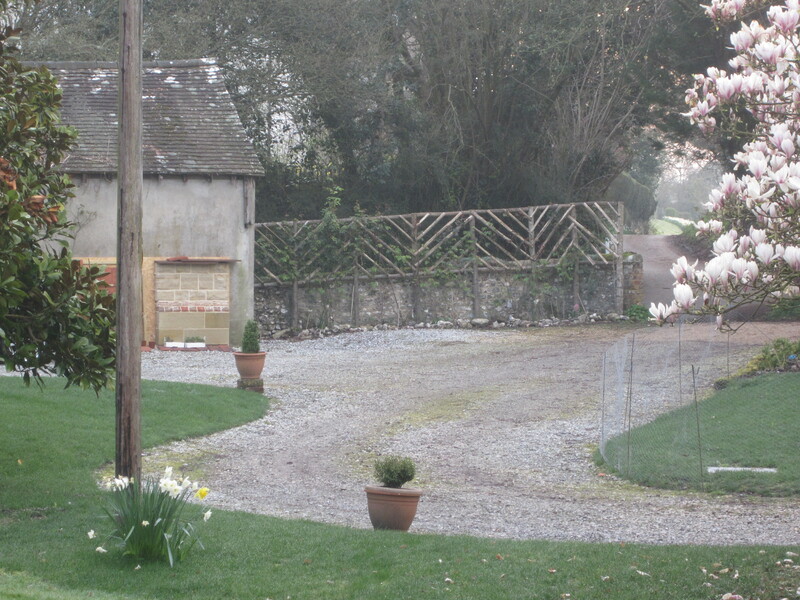 For those who read my blog regularly you will be aware that our home sits in an established plot with many mature trees and shrubs, and a significant amount of box hedging. We’re currently landscaping the front garden and despite the fact my Father-in-Law and I have propagated a lot of our own box hedging I’ve still had to buy new box. 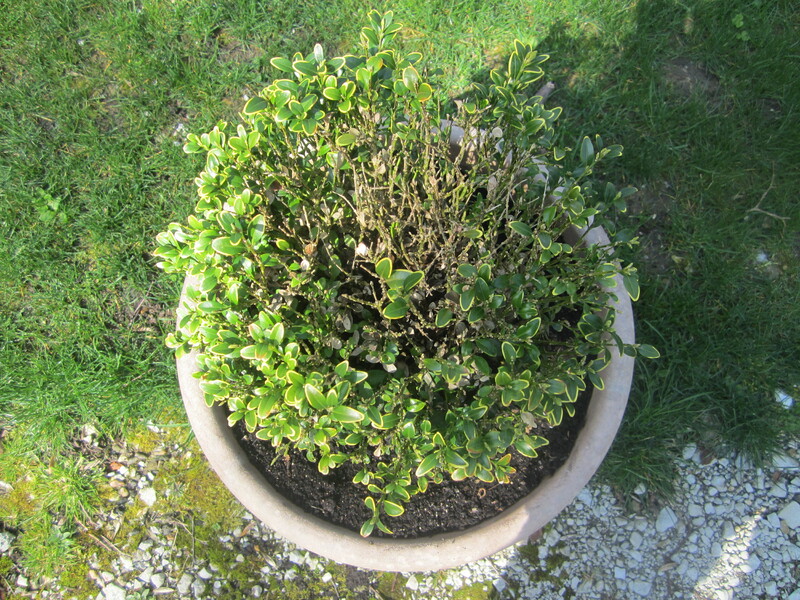 Unfortunately, the RHS confirmed on Thursday that a batch of box balls I bought last year and planted into pots contain Cylindrocladium buxicola commonly known as box blight. I first became aware that something maybe awry two weeks ago when I potted on my box balls into larger containers and noticed that the crowns of the box balls were rather sparse. The leaves had also suddenly developed cream edges which I took to be a nitrate deficiency, so on my gardening guru’s advice I began feeding with liquid tomato fertiliser and Top Rose. Recently I’ve read a few articles in the weekend papers concerning box blight so decided to conduct a little more research. 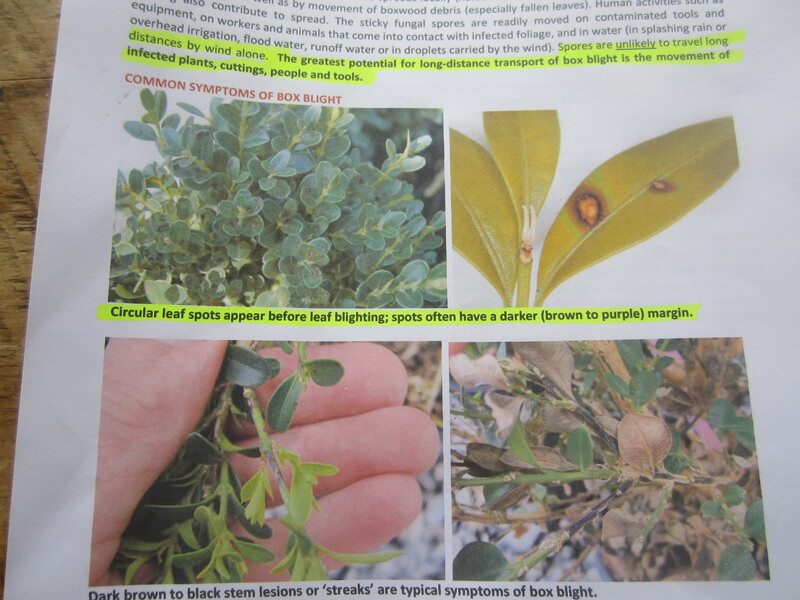 While I didn’t seem to be suffering from all the symptoms – dark or light brown circular leaf spots, often with a darker margins and straw to bronze coloured blighted foliage, I did have dark stem cankers or black “streaks” on my stems and leaf drop. As soon as I had read this document and identified the black lesions on my own plants I rang the Royal Horticultural Society at Wisley. If you’re a member of The RHS their Plant Pathology team will provide a pathology report free of charge. As soon as I described the plants symptoms they asked me to provide photos of the suspected blight by email and a soil, root, stem and leaf sample by first class post. They also suggested that I place a bin liner over my suspected infestation to prevent further outbreak until they could identify the cause. Within 24 hours of receiving the sample they emailed back to say I did indeed have Cylindrocladium Buxicola blight and provided me with the following advice. I’ve enclosed the RHS Advisory box problems web page: http://www.rhs.org.uk/Science/Plant-diseases/Box-problems There are fungicides (see my list at the end of this post) that are currently available to the amateur gardener and may help control the disease. You should also cut out and destroy the affected branches or remove the badly infected plants. Removal and replacement of the topsoil may also be helpful as the fungus can remain viable for at least five years on decomposing material. I have so much established box I can’t risk an infestation so have disposed of the plants, soil and pots at a landfill site to prevent further infestation in my garden. 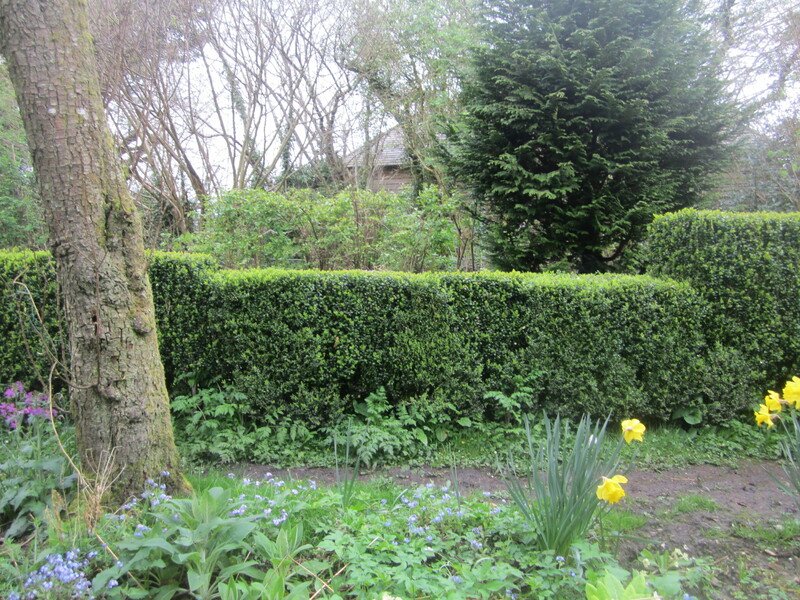 I am now keeping a very close eye on the rest of my box hedging. Meanwhile in another part of the garden, our box has been affected by box rust. 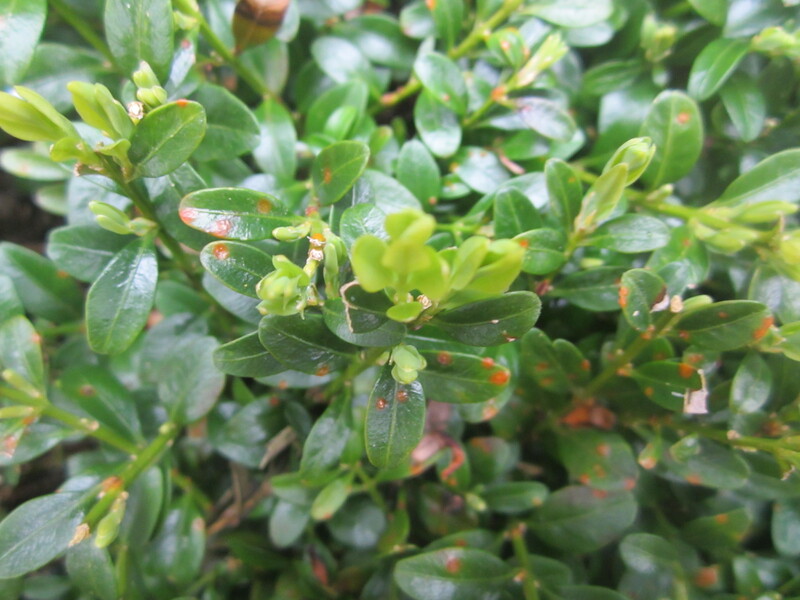 The above established box hedge looks perfectly healthy until you examine the leaves in detail. 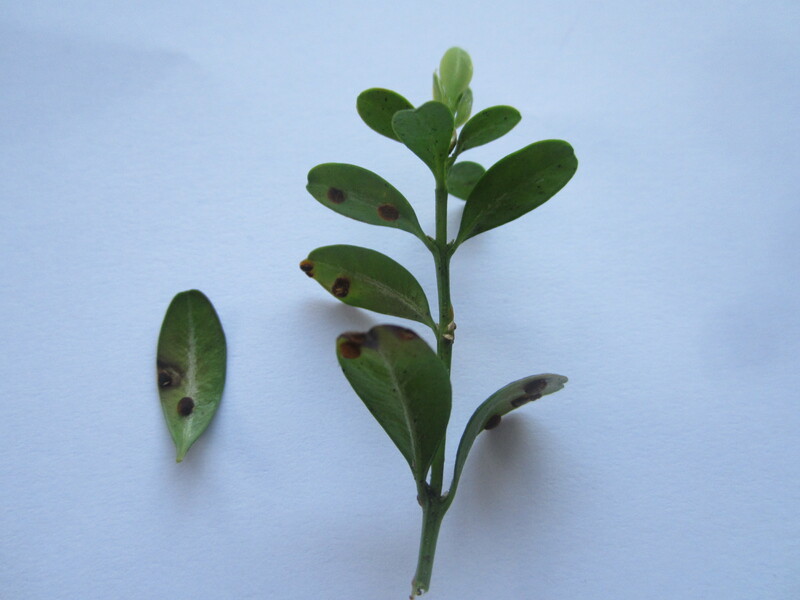 Box rust can be identified by inspecting the leaves for rust like spots. On the underside of the leaf, brown raised bumps can be seen. This raised bump is where the fungus resides producing spores that will spread. Box rust is not as damaging as box blight and usually is only found at low levels, often not requiring treatment. If you do wish to control the rust the RHS advise clipping off the affected shoots or spraying with one of the fungicides labelled for rust. In the interim, I have removed any young box suspected of box blight from my garden and disinfected the top soil where they were planted with diluted Jeyes Fluid. I’ve also sterilised all my garden tools with Jeyes Fluid as a preventative measure. Good luck and I hope this post proves useful in identifying any box problems you may have.